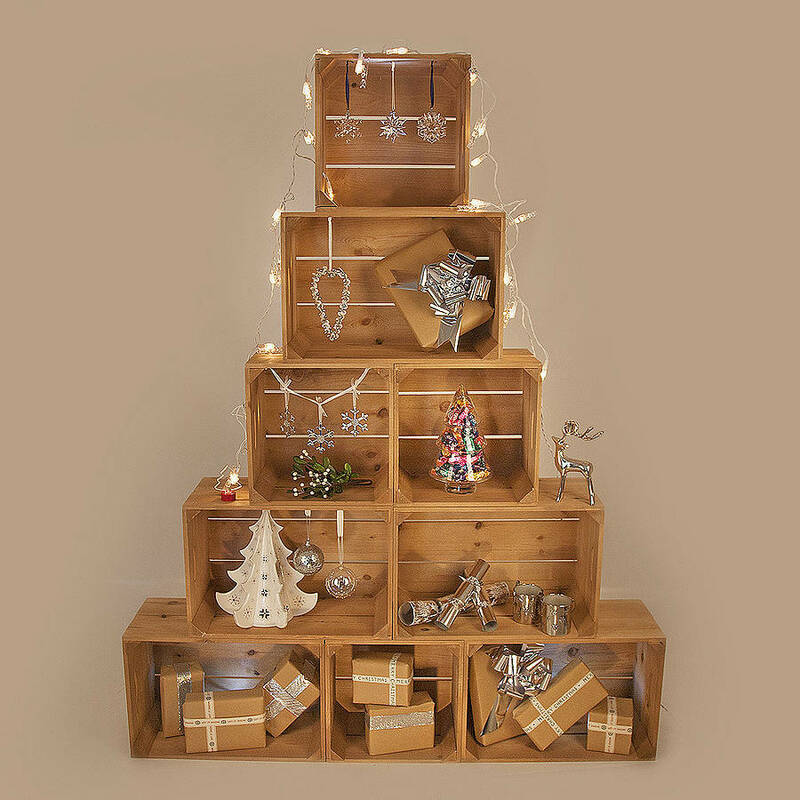 There are 9 of our wonderfully versatile apple crates in this 1.8m high arrangement which is an amazing alternative to a Christmas tree. 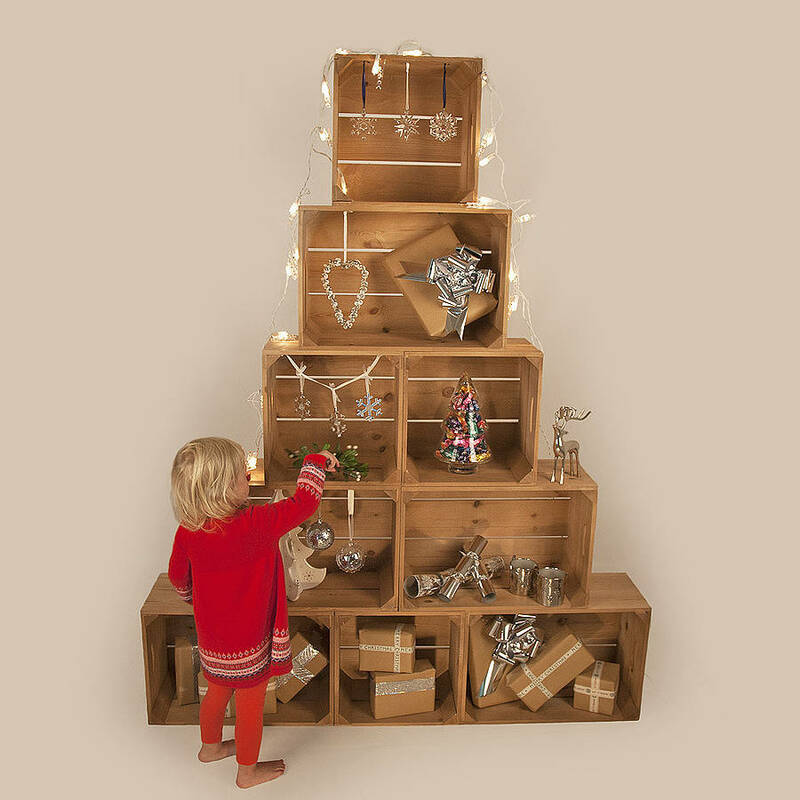 This is a wonderful alternative to a traditional tree that is ideal if your limited for space or looking for something completely different this year. 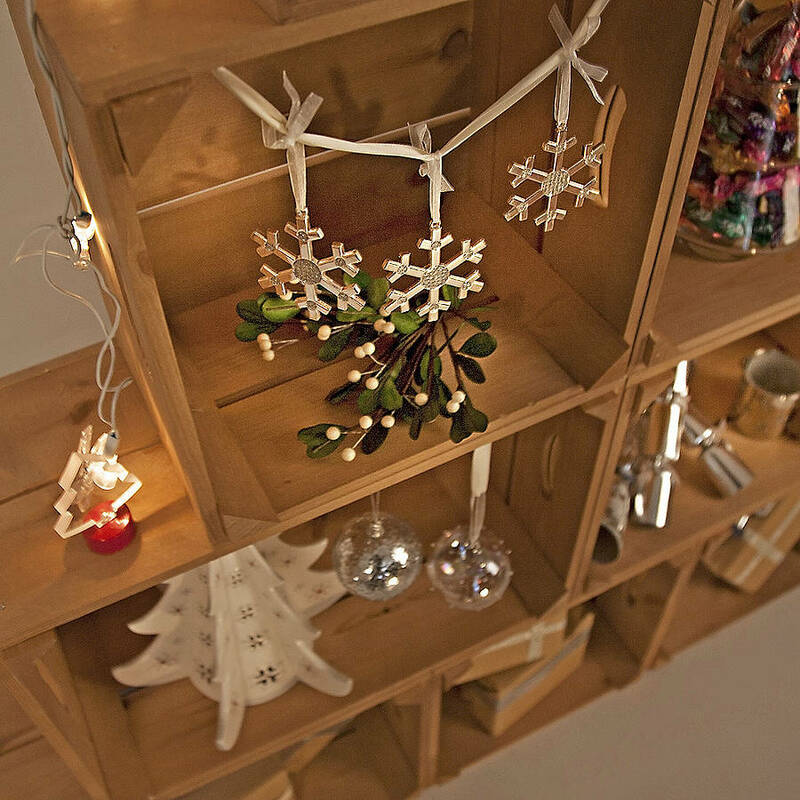 With storage places for gifts and decorations it can be decorated to your own unique style and will be sure to impress. 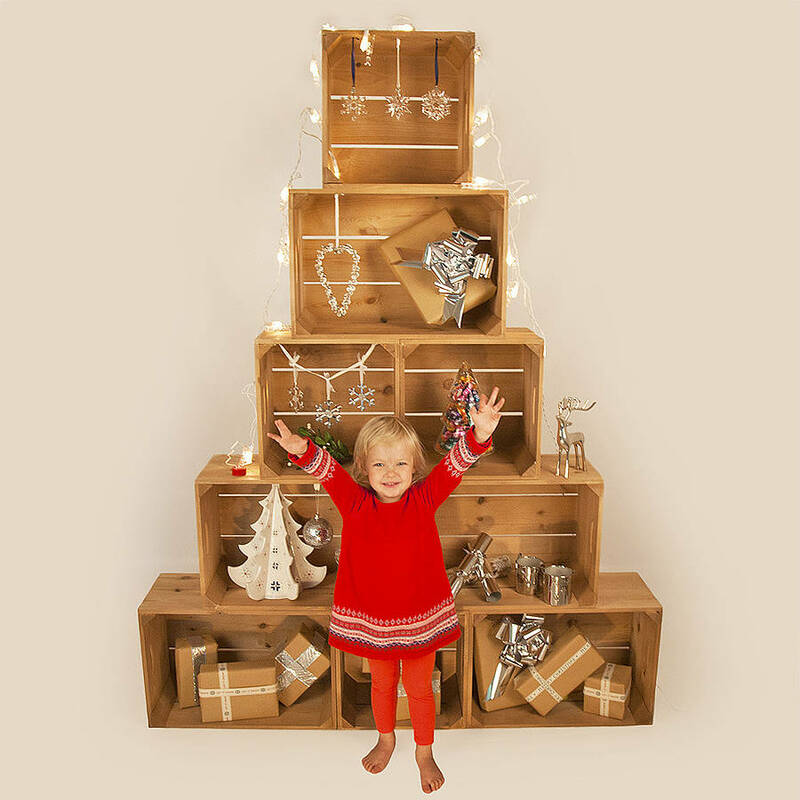 And of course with our wooden crate Christmas tree after Xmas there are no needles to pick up and you have a lovely set of crates for the garden or home. 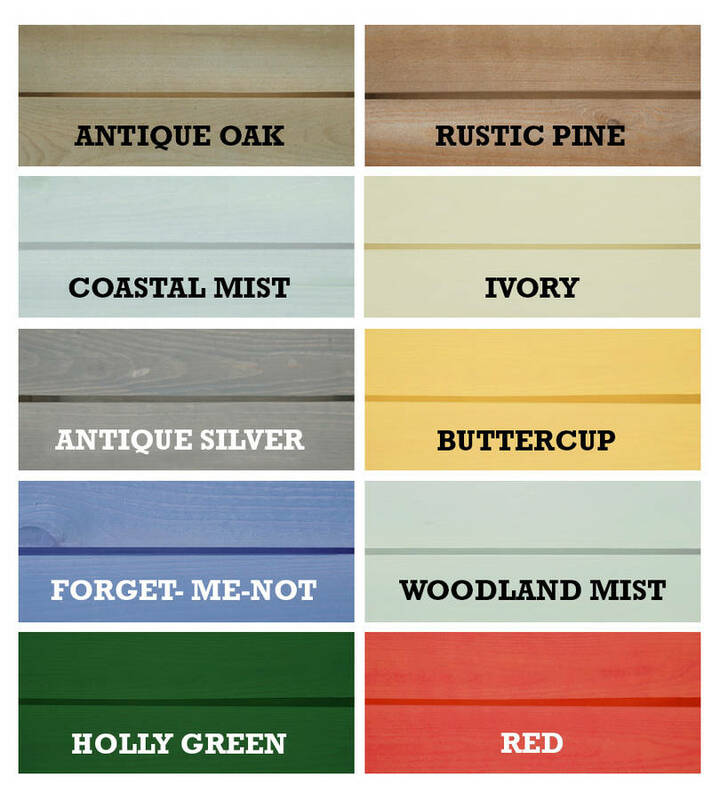 The crate tree is available in 6 different colours. 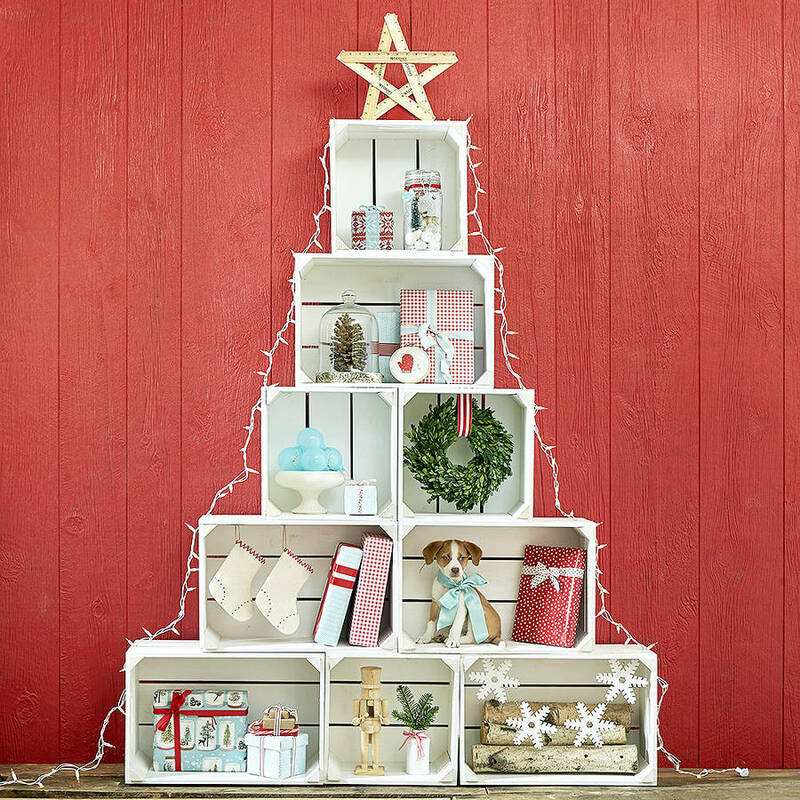 Please note the Christmas decorations are not included in this product.